Texas Hold'em Poker has become one of the worlds most popular cards games. At Deep Stack Poker we aim to prepare you for Tournaments with large chip stacks, this can be a huge adjustment from playing with smaller chip ammounts. 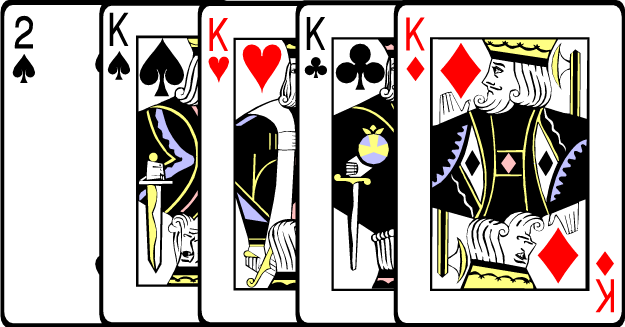 The absolute nuts, also called a Royal Routine, A Royal Flush can not be beaten. Ace to the 10 in suit. The art is to get your opponents to commit there chips to this unbeatable hand. 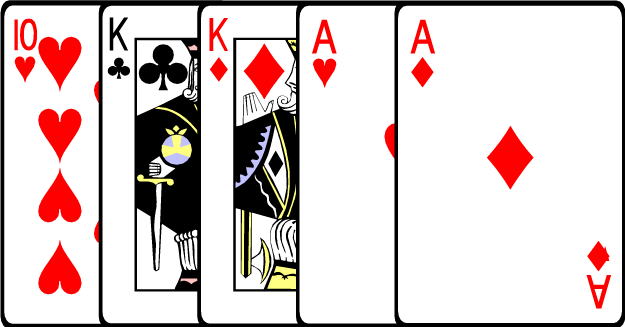 You have less then 0.0015% chance of hitting this winning hand. 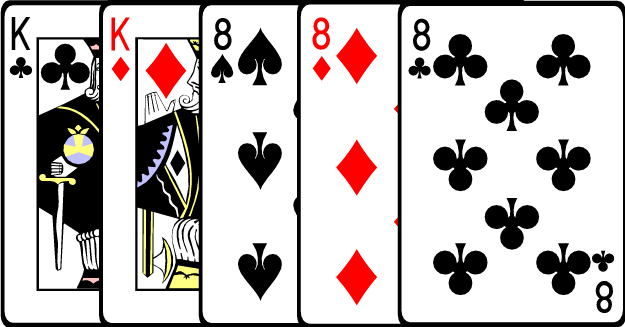 You would have to be unlucky to be beaten if you held a straight flush, Any 5 cards in suit in sequence. There are 40 different straight flush possibilities. There is about 0.0015% chance of hitting this. Also called Quads. Your eyes light up your pulse races when you flop Quads, Check I Hear you call. Any 4 of the same rank card. 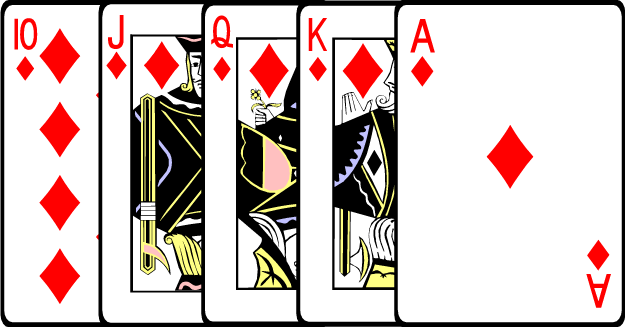 if 2 players have 4 of a kind the hand will be decided by the Kicker. There is 0.0024% chance of hitting this hand. Any 5 cards of the same suit, non consecutive. 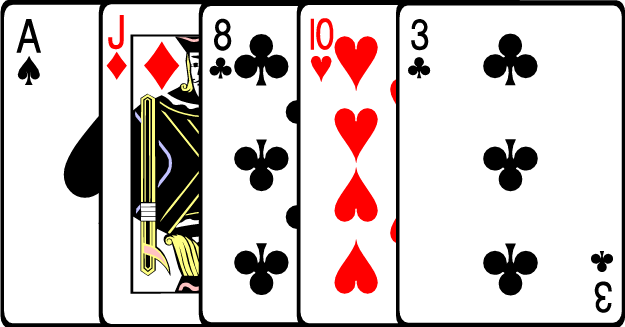 The winning hand is decided by the highest individual card held eg As beats Js. 5148 different combinations of a flush are available. There is a 0.20% chance of hitting a flush. 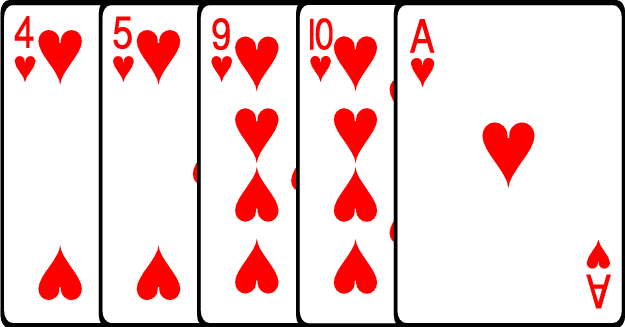 Also known as The Wheel, Any 5 consecutive ranked cards in multiple suits where the ace can be high or low. An ace high straight is also called Broadway. 10240 different straight combinations are possible. There is 0.39% chance if hitting a straight. Or better known as Trips or a Set. Any 3 of the same ranked cards, can be from a pocket pair or draw too 2 on the board. Watch out your trips aren't trumped by a full boat. 54,912 different possibilities of Three of a Kind are available. There is 2.1% chance of hitting trips. If i'm going to loose a tournament I hold 2 pair. 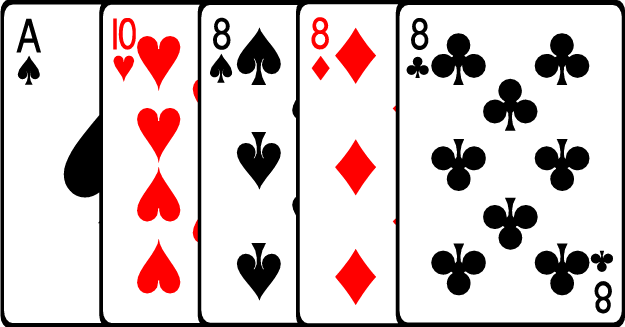 You either have a pocket pair and the board pairs or your 2 hole cards pair on the board. Learn to fold two pair. There are 123,552 possible two pair combinations available. 4.75% chance if hitting 2 pair. 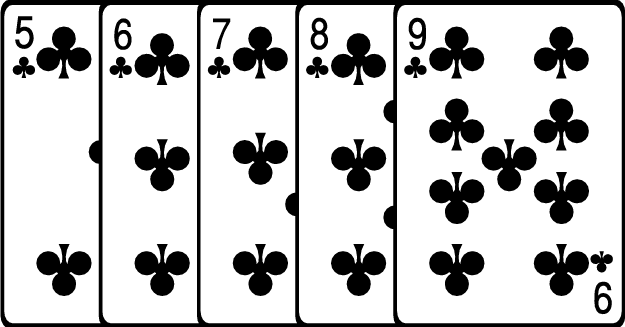 Any two cards of the same rank. 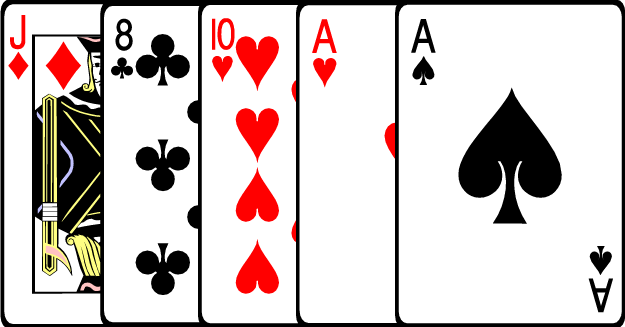 Here pocket aces are shown. There are over 1,000,000 combnations of a pair. 42.5% chance of hitting 1 of your hole cards or pairing the board. High Card; When only the Bluff will win. 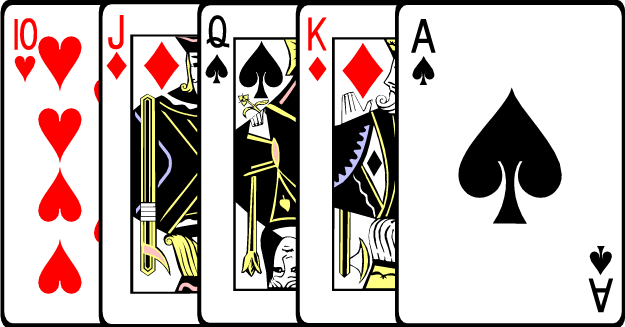 Over 2,500,000 combinations of winning with a High Card. There is a 50% if hitting this over played poker hand.